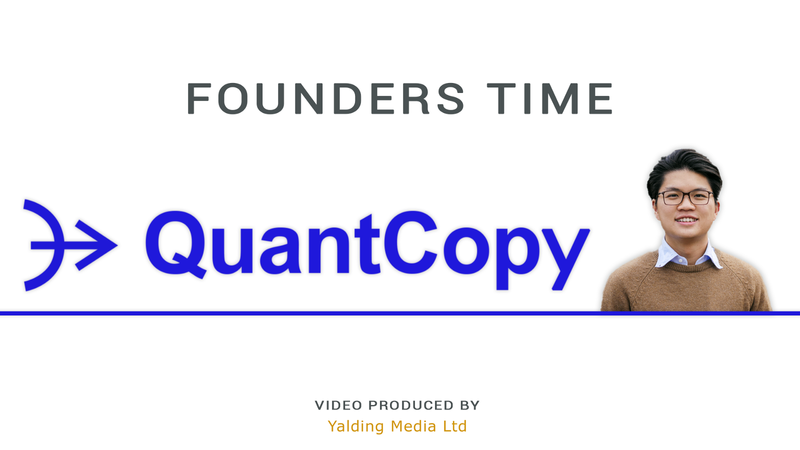 Last week we were very fortunate to interview Rudy Lai, founder of QuantCopy. He kindly shared the story of his entrepreneurial journey, his vision for QuantCopy and the current challenges he is facing. Solo founder isn’t for everyone. I wouldn’t pick it, even for myself. Being solo founder is both advantages and disadvantages at the same time. The advantages are decisions get made quickly, you have time to think, instead of being constrained by relationship with others. The third advantage is you trade off discussion time with time to make some more mistakes. I have been in co-founder relationships before and what I found was that a lot of our time was spent debating the next steps. Even if there is a healthy difference between the founders, I think it eats away a lot of coordination time. The disadvantages are very clear — now I am in this interview, nothing else is happening in the company, apart from automated stuff. If I am working on product, sales stops. If I am doing sales, the product stops. I like my friend’s description: when you are solo founder, it is a bit like being in a whirlpool, where every time you raise your head and see where you are, you are in a different place. You always go against the tide, so it is very important to take care of yourself. Being a startup founder means you have to take care of your health, energy, motivation levels, especially when you are solo founder. You also cannot call your co-founder and tell him or her that you want to take a day off. From my days in finance, where everyone is a 3–4 man team, it is very unlikely that you are in a system with large redundancy. I feel like I’ve been quite accustomed to doing this, but again this isn’t for everyone. We are testing 3 hypothesises at the moment. For our top persona, which is: founders, owners and entrepreneurial people, we are partnering with co-working spaces to reach these people. I regularly speak at events, like Indie Hackers to get inbound interest and also we have Cost Per Click Google ad words, which targets what they are looking for, if they were thinking about sales. The other hypothesis is we are looking for on the ground sales people and outsourced sales people. To target these, it is more of a direct sales model. I basically go through various websites, like Commission Crowd and other outsourced sales agencies. It is easier to target this group as they have to advertise themselves so it is very easy to identify who is in the business. The last part is middle management, VP type leaders in sales. This at the moment is done by referral. I have good relationship with people in big tech companies and through my network. I think the benefit is that you only need to win one of these sales leaders to get many subscriptions in one go. So the payoff is a lot bigger, but you need to a lot more more developments and the product needs to be a lot more mature. So that’s a lot more long term and we are thinking about this is a lot less systematic way. One of the mistakes is I didn’t listen to myself enough. I like to consult a lot of different people’s opinion and weight it with my own opinion, but also over index it on guys who have done it before. For example, I spoke to a VC about a metrics problem, I spoke to an entrepreneur about a marketing problem, but ultimately you need own the consequences of your own actions. It sounds simple, but the downside of relying on others is that they don’t bear the consequences — you do! If your reasoning is “ I did this because of so and so”, they might have more experience, but you need to really rationalise it for your own plan, for your own company, for your own situation — why you really need to do this. If you are short on time, you can listen to the interview on SoundCloud. Alternatively, you can watch the full interview with Rudy below. Here is a brief overview of how QuantCopy works. We have a research piece, which takes external public data about leads, their companies and industries into a data pipeline. Then using that information, we identify elements of information which we can put into the email, which is well researched and personalised. So there is a gap between what needs to appear on the email and having a nice coherent email. To do that we use sequence to sequence, otherwise know as encoder decoder model. We’ve hacked a little bit in a sense where encoder isn’t exactly the typical RNN with an encoder — it’s a custom architecture and a very powerful language model that is trained on our proprietary data sets. So basically, we can have elements of email go in and coherent emails come out on the other side. I bring sales skills from my time in investment banking, I have skills in machine learning. Some of the work I did as a quant, back in the corporate life and also through out my time building businesses, I have always been fascinated by further developing my skills in this area. I teach a deep learning class at O’Reilly Media. Lastly, I have experience in convincing others to automate something. Unlike traditional software, AI application does something different every time, there is less of a control element to it. So how do you make sure design a product that is controllable but at the same time retains its power. I think this is something very difficult and it is a roadblock I have encountered again and again in my corporate life. In terms of experience that I would need to support myself. I think marketing is a big one. I have friends who are expert marketers and they are just at a different level. I think the answer to the question about “how can you retain the power of an automated piece of software, but also give control to the user” — thats a User Experience problem, so I am also looking for someone to tackle this, which I think is also a fairly new field of UX. The third thing I need help with is with reliability and robustness of the system, the monitoring, the logging, the scalability, the availability and thats where I first will bring on people. I think we have a very interesting problem as we are aggregating all the data in a single data lake and also how we implement things like the deployment of models, the A/B testing of models, the persistence of models, especially with our TensorFlow backend. I think it’s the day QuantCopy made money for our clients for the first time. I think one of the people’s quotes in the room was “I had to take a nap to come down”. So basically, it was a very big breakthrough and everyone were quite excited and we had a big celebration. It was a big moment, as we went from 0 to 1. So obviously, we are in the day one of a very long journey, but it is good to know that it is possible, as before it was just an experiment. Feel free to drop us an email, if you want to be interviewed or collaborate with us. This story is published in The Startup, Medium’s largest entrepreneurship publication followed by + 378,907 people.